At Canadian Antique Lumber we are excited to share with you the natural beauty of reclaimed antique lumber. Salvaged from century old barns, antique wood is a truly unique and beautiful product. It is eye-catching and attractive, creating immediate attention. The aesthetic weathered appeal of antique lumber enhances and enriches any space, fits any decor and is always in style. The rich patina, character, imperfections and grain variation makes antique lumber unmatchable with modern wood. It offers a tighter more stable grain and has been naturally air dried for decades, resulting in extremely stable material which is less likely to warp, shrink or crack, problems commonly found with new “non-weathered” lumber. It is authentic vintage timber, rich with colour and history, and it is our pleasure to share with you a piece of our country’s heritage. 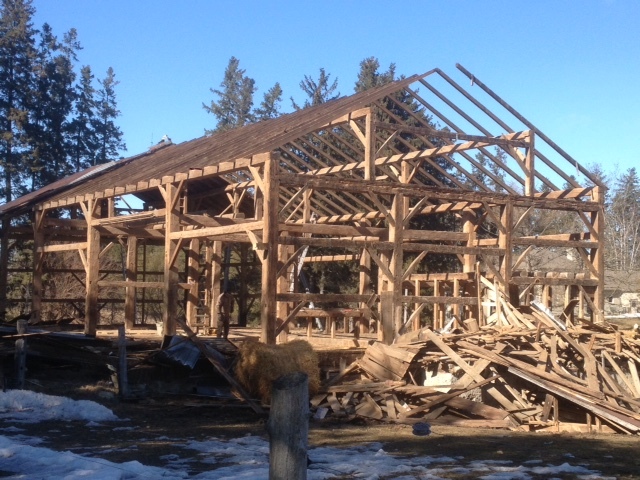 Our hope is that the barn will live for another hundred years, and be enjoyed in equally as many places.